In his first week on the job, Martin Catterall joined the St John Clinical Control Centre staff who handle 111 emergency calls. The experience reaffirmed his decision to take on the inaugural CIO role for New Zealand’s most trusted charity. Many IT people get locked up in Fortune 500 companies and contribute to the P and L of a company,” says Martin Catterall, CIO at St John, who joined the charity in March. “Well, our P and L is about people. And that’s pretty special. In his first week on the job, Catterall spent several hours in the Auckland Clinical Control Centre at headquarters observing call handlers taking emergency 111 calls. 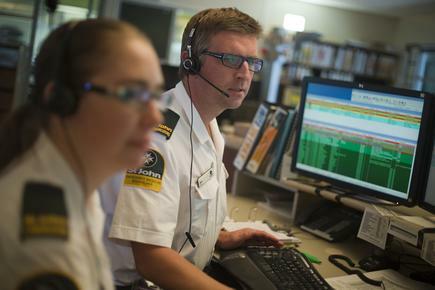 St John receives more than 1000 emergency calls each day. St John is the largest primary healthcare provider in New Zealand and delivers emergency ambulance services to 90 per cent of the country. 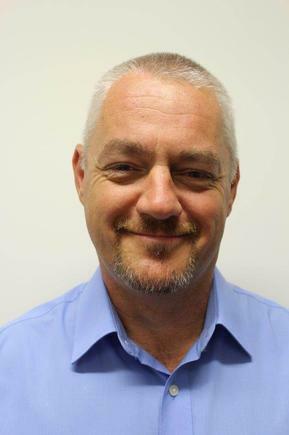 Catterall is St John New Zealand’s first CIO, having joined the charity after 10 years in a global role as director of information technology and telecommunications at the World Health Organisation (WHO) in Geneva, Switzerland. Previously, the St John ICT team was part of a wider function that included finance and administration. He reports to CEO, Peter Bradley, who came back to New Zealand after heading the London Ambulance Services. Catterall is a member of the executive management team, and is very clear on the focus and priority of his division. The ICT team supports the systems and technology that, in turn, support frontline crews treating and transporting more than 415,000 patients each year. The organisation’s standing in the community is such that it was voted the most trusted charity in the Reader’s Digest Most Trusted Brand Awards this year. Paramedics, meanwhile, were second in the ‘most trusted professions’ category, next to firefighters. At WHO, a United Nations agency, Catterall led the implementation of a global ERP, private network and unified communications for all staff. We’re in a very privileged position as IT people to be able to directly contribute to the public health of New Zealanders. Catterall says St John was interested in his background because the goal was to bring ‘‘best business practice” to the organisation. “St John is migrating from simply being a charity to focusing strongly on patient outcomes in a more driven, more managed, more measured approach,” says Catterall of the organisation, which ranked number 23 in the CIO100,the annual report on the top ICT-using organisations in New Zealand. Catterall explains the distinct differences in his current role and his past role at WHO. “WHO was a knowledge-based organisation where we would recommend policies and health information systems to countries,” he states. “My role did not go down to the national level, it was predominantly international and supporting the organisation. “We were largely focusing on the less developed countries. We’re service providers. 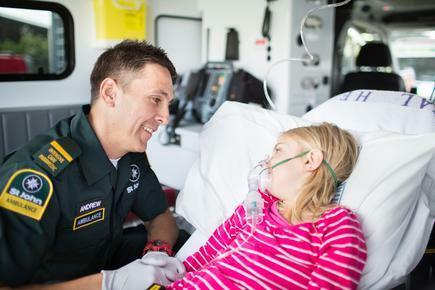 We help the ambulance service, the paramedics, the community do their job. They are the real heroes. “It’s a much more hands-on public health environment here. In the past, we were talking about numbers, we were talking about statistics, we were talking about tracking the evolution of a disease in a particular country, crossing borders, and so on. St John was Catterall’s first job back in New Zealand after 20 years of international ICT executive roles. Related: St John CIO Martin Catterall talks about the evolving CIO agenda and shares leadership insights from a 25-year career that has brought him across the globe. He graduated from the University of Otago with a Bachelor of Science in 1984 and completed a post-graduate diploma in science a year later. His first IT role was as a programmer analyst for the Department of Labour in Wellington before he moved into database management. He was headhunted from NZ Post by Dairy Farm International in Hong Kong in 1992. In 1996, Catterall moved to Australia, where he became the Asia-Pacific Year 2000 project manager for Kellogg. Before joining WHO, he was in Malaysia with Kellogg and with Singapore retail chain, Cold Storage, implementing a bespoke ERP system. Catterall is cognisant of how ICT will work with St John’s 10,000 volunteers across the country. “We need to improve how we relate to our volunteers, how we support them in their fundamental work for the community. And that’s going to need some changes in how we employ technology and how we manage technology across the country,” he says. Another component of the job is working with other emergency services such as the New Zealand Fire Service, Police, Civil Defence and Wellington Free Ambulance Service. 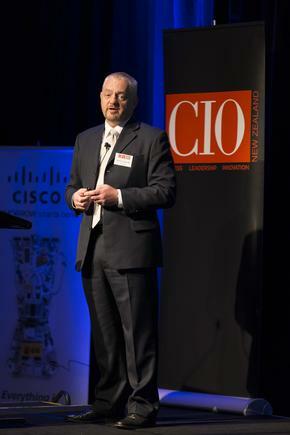 Martin Catterall spoke on the evolving CIO agenda at the 2014 CIO100 event. We have a vision of the emergency departments being able to see the location of all of our ambulances and to know what's on board, who’s on board, and how they can be better prepared when the ambulance arrives. Recently, Catterall has been travelling to Christchurch to meet with the heads of emergency organisations involved in setting up the Christchurch Justice and Emergency Services Precinct. The precinct is the first major public building to be built in Christchurch by the government since the earthquakes of 2010 and 2011, and will house all emergency services. These include the Ministry of Justice, Police, Department of Corrections, New Zealand Fire Service and the Christchurch City Council. Construction of the modern complex started in July, and is scheduled to be completed in late 2016. “We have quite a large degree of discussion about how all these different agencies and companies can come together, what can be shared and what can’t, given the high degree of confidentiality and privacy that exists between the different agencies,” says Catterall. St John is currently implementing electronic patient report forms (ePRF), with the aim of improving the quality and safety of the care and services it provides, along with the experience for patients. Peter Hoskin, operations subject matter expert at St John New Zealand shows a preview of the new electronic patient report forms that are scheduled to be rolled out next year. Staff will have access to clear information that can be linked up with other health providers and shared with agencies such as the Ministry of Health to inform and improve their services. Ambulance officers manually fill in about two million pages of paper patient report forms each year. The ePRF project, scheduled to be completed in mid-2015, will replace paper forms with electronic records completed on a portable Samsung tablet device. We’re looking at putting wireless technology into every ambulance station, so that while the ambulance is in transit it will be using the 3G network. Then, as it drives into the station, the wireless will take over. “That’s leading edge for an ambulance service, but once we start capturing that information electronically within the ambulance, our ability to communicate to hospitals, particularly emergency departments, increases dramatically,” says Catterall. “We can now start forwarding information to emergency departments while we’re on route to hospital. We have a vision of the emergency departments being able to see the location of all of our ambulances and to know what’s on board the ambulance, who’s on board, and how they can be better prepared when the ambulance arrives. The ambulances have communication hubs, with upgraded mobile data terminals (MDTs) being installed in every vehicle. Paramedics will use the MDTs to communicate their status during a response and whether they are available or not to accept jobs. Catterall says this project is scheduled to be completed by early next year. “Once we’ve rolled out all of that, we’ll be able to add the electronic patient record form application into the devices,” he says. At the moment, St John is going through significant testing with the Android tablet. Each tablet will be inside a rugged case. “We have to prove the application on that tablet and then we have to put the Samsung tablet through a series of robust tests to make sure the tablet can withstand the work environment that we have,” Catterall continues. 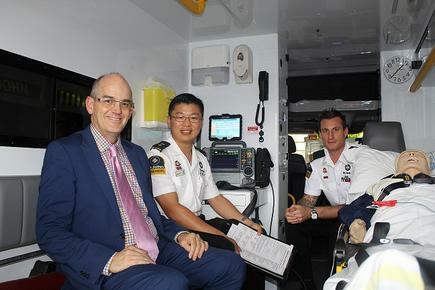 Each ambulance will cost around $250,000 to put on the road when factoring in all the technical and specialist medical equipment, along with a crew who have trained for several years to be able to provide pre-hospital care. “We’re looking at putting wireless technology into every ambulance station, so that while the ambulance is in transit it will be using the 3G network. Then, as it drives into the station, the wireless will take over. Catterall says St John ambulance staff undergo comprehensive first aid and clinical training as a base requirement. Those ranked emergency medical technician (EMT) or higher have completed a national diploma in paramedicine at a tertiary institute. Martin Catterall was interviewed for the 2014 leadership edition of CIO New Zealand.